It's A Dan's World: THE SALES PITCH: Who Laid SIEGE To Whom? THE SALES PITCH: Who Laid SIEGE To Whom? 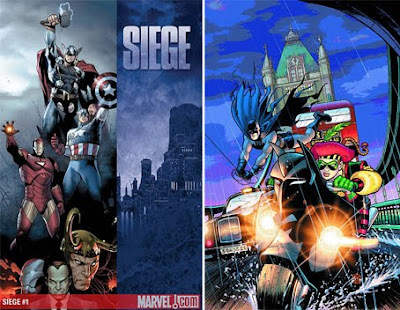 Without an issue of Blackest Night to keep the wolves from the doors, Marvel regained control of the Top 6, with SIEGE #1 taking top honours. Despite having only Green Lantern #50 and Batman and Robin #7 within the six, DC closed the sales gap on the House of Ideas, from Decembers 19.72% margin, to just 7.67% in January (unit share). THE WINNER ON THE NIGHT: Amazing Spider-Man #617. Sure this issue saw the return of the rampaging Rhino(s), but the guy readers actually got a charge out of was was penciller Max Fiumara. 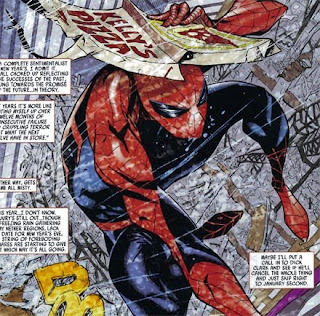 With an awesome insect-stylised take on the web-spinner, don't be surprised to see more of this rising-star's friendly neighbourhood Spider-Man, in the very near future. For the full wrap-up click here.